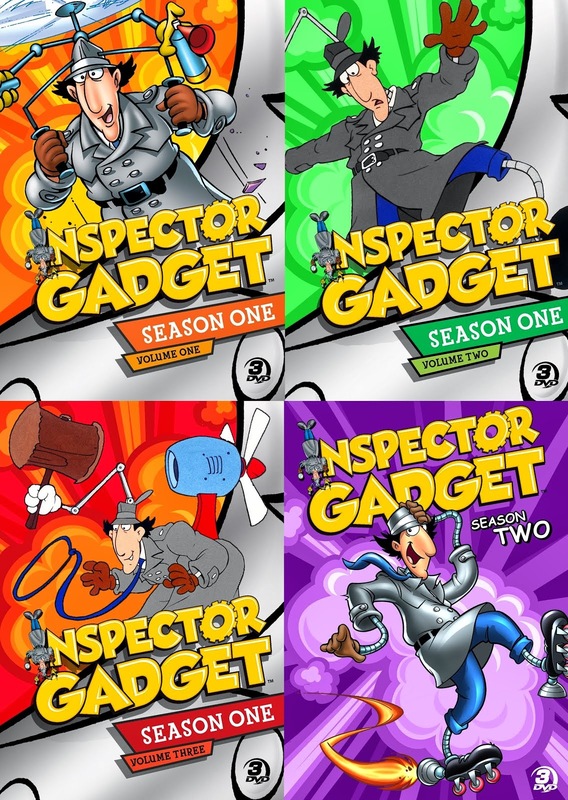 For a little while in the late 80s, the Inspector Gadget characters were licenced to promote the Kentucky Fried Chicken brand. Until now, I thought there was only one KFC commercial (below), but this one brings the total up to at least two. The other one (which I'll get to in a second) is from 1987, so I'm guessing the one above is from around that time, too. As far as the quality of these commercials go, the animation and voice work is certainly not up to the TV show's standards. I'd say the above KFC commercial is the best one of the two. 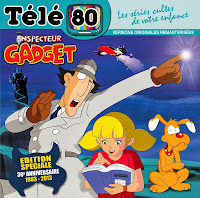 Gadget sounds kinda (but not quite) like Don Adams, and the animation isn't too bad. 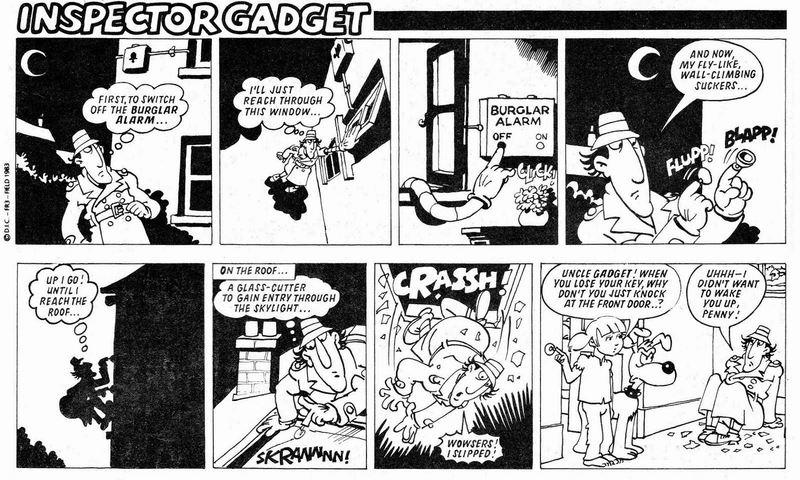 The last gag with Gadget pulling his head inside his body like a turtle doesn't make much sense... I doubt he'd be able to do that in the TV series... but, then again, those pirates and vikings attacking him make even LESS sense! I do prefer M.A.D agents. Anyhow, let's take a look at that other KFC commercial while we're at it! 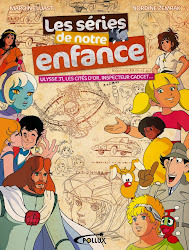 This one, promoting collectable cups with pictures of the Gadget stars, actually feels very different from the first: The voice work is pretty weak, and the new animation of Gadget and M.A.D. Cat is downright terrible! Well, maybe "terrible" is too harsh a word... but this commercial certainly has some of the weirdest animation I've ever seen of Inspector Gadget! 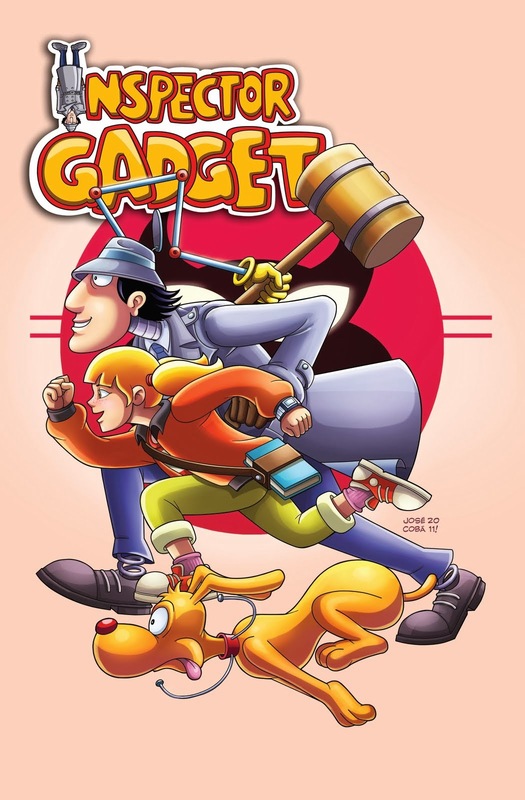 Why is Gadget's face bobbing up and down all the time? It feels like the animator figured that, "the more movement I put into this scene, the more lavish the animation will look!". Unfortunately, that works best when the movement itself is actually good. 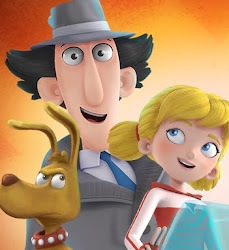 In the case of this commercial, Gadget's face animation just feels out of control. 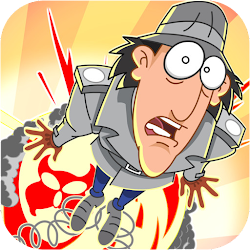 Also, it seems out of character that Gadget is the one to stop M.A.D. Cat in the end; that job should belong to Penny and Brain. All in all, there's no doubt that whoever did these commercials had the budgets to do full animation. What they didn't have was a proper understanding of their characters. UPDATE (June 4, 2012): I suddenly discovered that the original uploader of the first ad here has changed her/his video settings to "private". Because of this, I re-uploaded the ad to Youtube myself and changed the old embedding to my own, new upload. If you've been here before and had problems watching the first commercial, it should be working now.